Are you ready to do some serious decluttering? 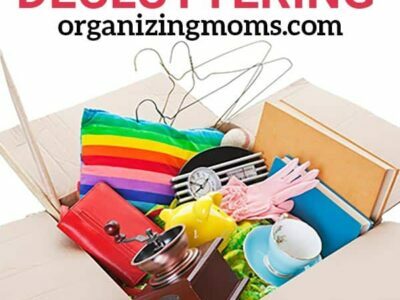 Join us for Your Month of Decluttering! Why Declutter Every Day for a Month? You’ll build a decluttering habit. They say it takes 21 days to form a new habit. If declutter for a whole month, you’ll exceed that! You’ll be able to see your progress. When you declutter sporadically, it can be difficult to see how far you’ve come. When you declutter daily, you’ll often be surprised to see how much better your space starts to look! You’ll feel motivated. There’s something about a challenge that gets us pumped up to get things done. This daily decluttering can start whenever you want it to. If you’re ready today, you can start! For a month, you commit to decluttering one container of stuff from your home each day. 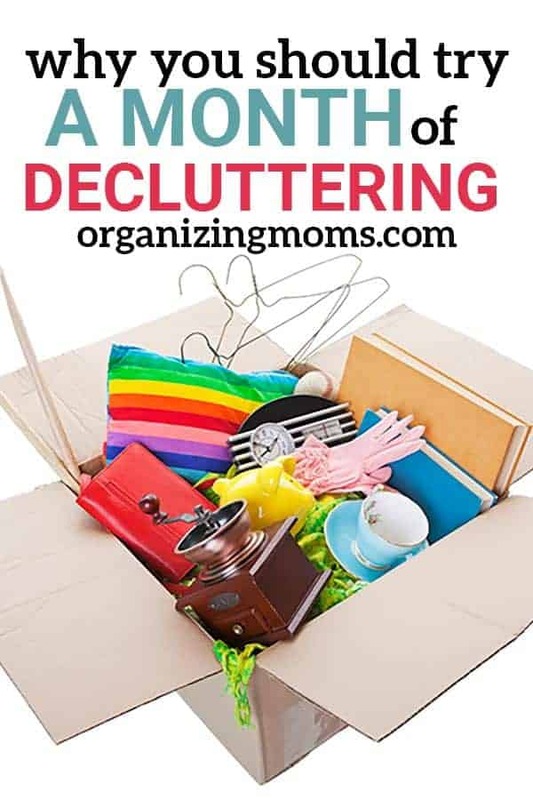 After a month, you will have decluttered a ton of stuff! Brainstorm different areas in your house that you’d like to declutter. Make a written or typed list so you can refer to it during the challenge. Figure out what you’ll do with your decluttered items. Will you drop off your donations daily? Will you wait until the end of the challenge? Make a plan for what you’ll do with the stuff you declutter so that it doesn’t stay in your home and eventually make its way back into your living space. If you plan to donate a lot of the items you declutter, print out a donation tracker. Here’s a good one from iHeartOrganizing. Do I have to use a certain sized container? Is it okay if I use boxes instead? Any size or shape of container is okay. It’s totally up to you! Use stuff you already have – no need to buy anything new. Does it all have to be donated? Definitely not! You’ll want to separate your items for donation, but all clutter that you get rid of counts for this challenge. Even trash! Can I take a day off? Yes! If you want to work ahead or have makeup days, that’s totally fine. Just aim to declutter one container worth of stuff every day. What if this is too much all at once? Do I really have to do this every single day for a month? NO! If the daily lessons aren’t working for you, you can spread them out as far apart as you’d like. I’d recommend scheduling decluttering sessions on your calendar so you don’t forget to keep up. But, by all means, do this challenge at your own pace! Want to track your progress in the Your Month of Decluttering? Download the free printable tracking sheet above, and check off each container you declutter. Here are some resources and articles to help get you motivated for the challenge!